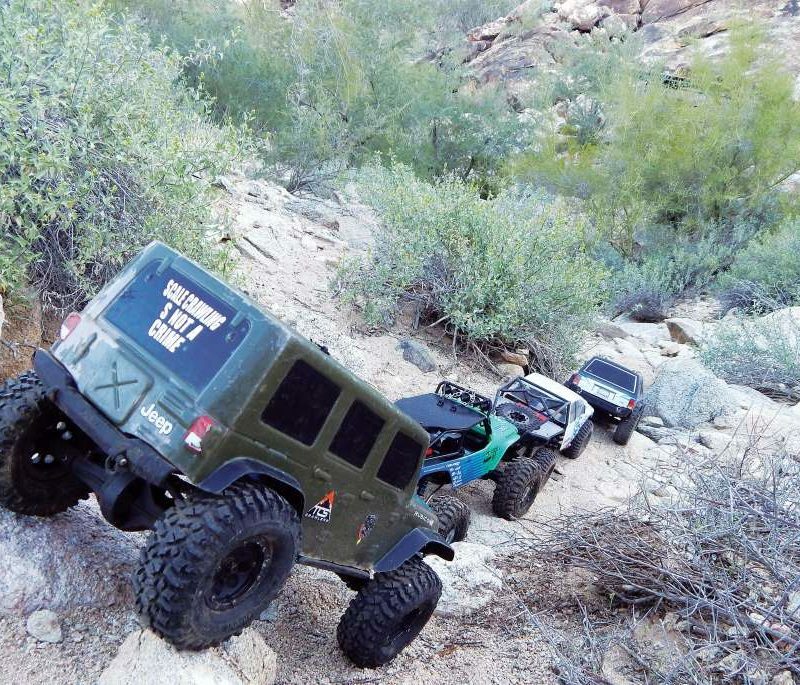 It’s no secret that turf and carpet off-road tracks are on the rise in the United States. It’s not a new form of racing. In Europe, drivers have been running on this style of track for quite some time. The style of track requires precision driving, the perfect set-up if you want to win and of course the right equipment. This new era of tracks for the US comes with a lot of benefits, but also comes with some controversy too. Seasoned racers shrug off the surface as a short term trend while others view it as a new challenging way to improve skill and enjoy a “physically clean” racing environment. Which side do you fall on or will you try before you decide and if you do, will you be prepared? 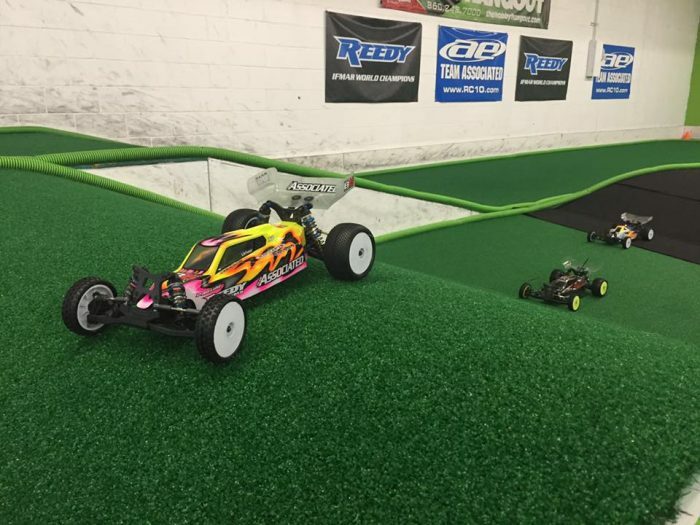 With the help of Pro-Line Racing Carpet Tires, you can get dialed into carpet racing easily. What is a turf/ carpet off-road track? For the sake of discussion, we’ll call it manufactured surface off-road tracks. 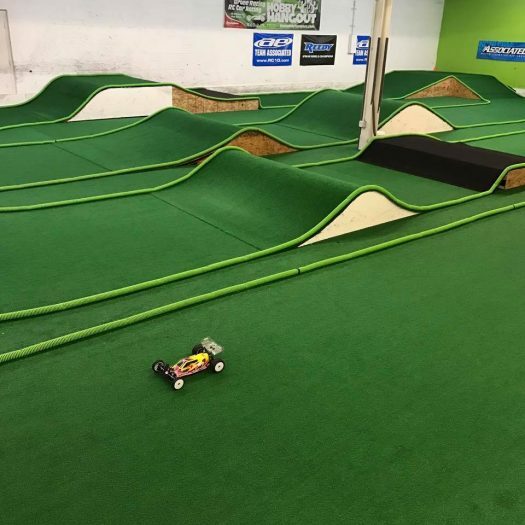 The track often starts with a layer of manufactured surface such as turf or carpet being laid down on the ground and jumps or obstacles made of plywood and other materials placed throughout the track to simulate the off-road tracks many are accustomed too. Manufactured surfaces can also be laid down on top of an existing dirt off-road layout however, the manufactured surface is usually made up of smaller pieces to contour over the uneven under surface. Pipes sometime screwed or nailed down or filled with weights are then laid out to outline the racing course. Truthfully any vehicle can run on a manufactured surface track, although we do have some tips from experience to pass along. 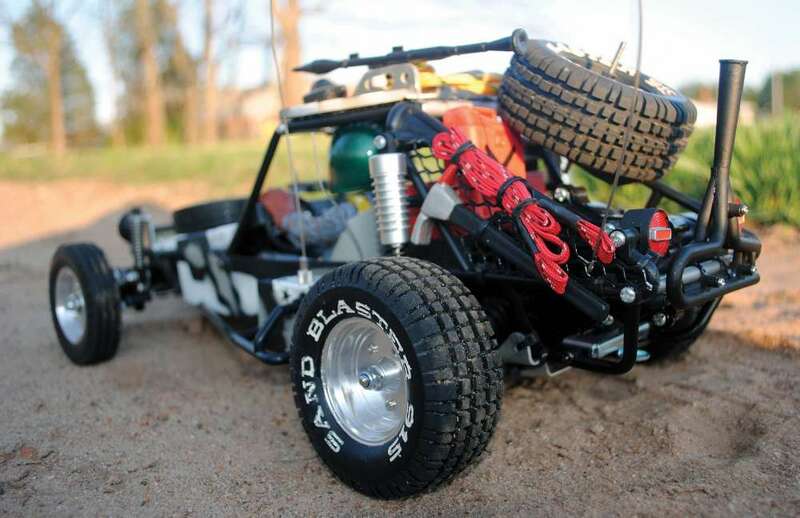 As of now, off-road turf and carpet tracks are typically used for 1/10 off-road racing although you will find pockets of mini and micro racers using the same surfaces too. We’ve seen many drivers adapt their existing dirt racers to run on the high traction surface by lowering the cars and strategically placing weights to improve handling. With the quick speeds of this type of racing and sometime harder underlying subsurface, the track and be much more brutal on racing equipment. We’ve found that vintage car racing should steer clear of driving on a manufactured surface. Their parts were not designed to absorb the impacts on this style of track. Newer machines should only be run on this surface; for example a Team Associated B5M or Team Losi Racing 22 3.0 or newer. Because of the change is track offerings, vehicle manufacturers have been stepping up, designing and offering cars to handle the abuse of these tracks as well as offer better handling to take advantage of the surface. Should You Try Turf or Carpet Racing? As you do your research on this type of off-road racing, you’ll undoubtedly stumbleupon discussions about it. Some favorable and some not so favorable. Some racers view turf or carpet off-road racing as a replacement for dirt racing when it is simply not. Manufactured surface racing is just another offering for the RC community to race on. Tracks are turning to turf for a variety of reasons like race surface consistency, ease of facility maintenance, cleaner environment for racers, spectators and events such as parties or general public RC rental car use. Racers who have made the switch to manufactured surfaces like these tracks for the same reason, consistent traction, the ability to tweak or change the track if there is a problem. But many racers like these new tracks for being much more forgiving on equipment which means less money spent to be competitive. One area that many racers save money on are tires. Tires play a key roll in a car’s handling. One manufacturer who is a leader in tires and support accessories is Pro-Line Racing and they’re continually evolving their tire lines to give racers the best traction possible no matter the surface. 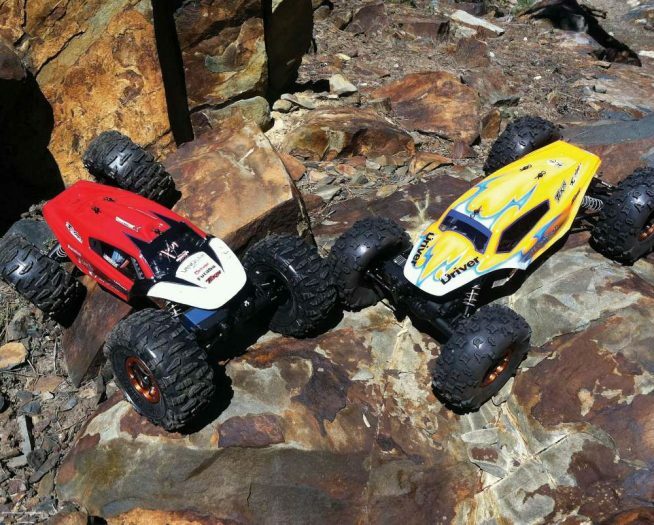 Pro-Line Racing offers a wide range of tires for all types of vehicle racing segments including 1/10 turf/ carpet. 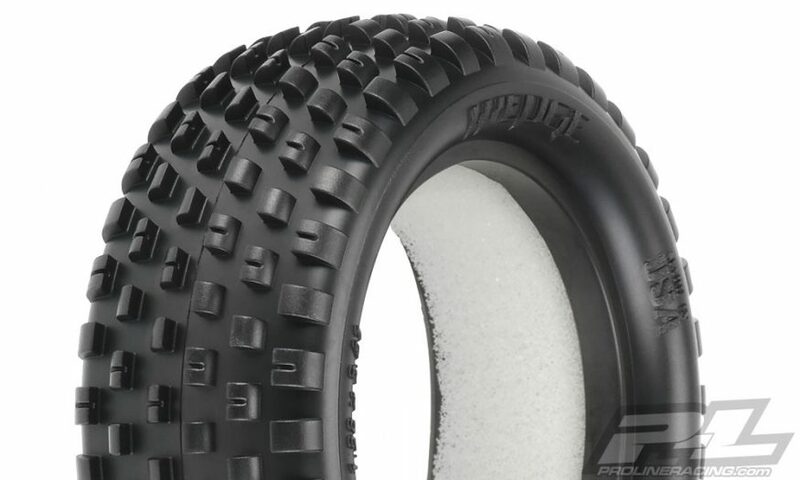 Since the recent surge in the US for this style of racing, Pro-Line has offered the Wedge Squared front buggy tire, the Pin Point rear buggy tire and Pin Point Short Course tire for racers. But the turf and carpet scene is growing rapidly, so Pro-Line has of course stepped up their tire game. Some new carpet shoes have been added to the line such as the Wedge 4wd front tire and the Wide Wedge 2WD tire and Wedge T stadium truck tire. 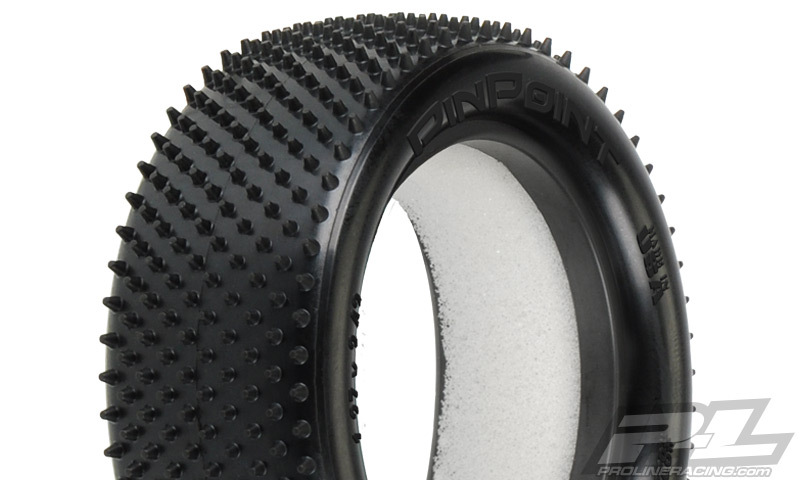 For the rear, an all new Prism rear buggy tire has been added to give you an option to the Pin Point tire. 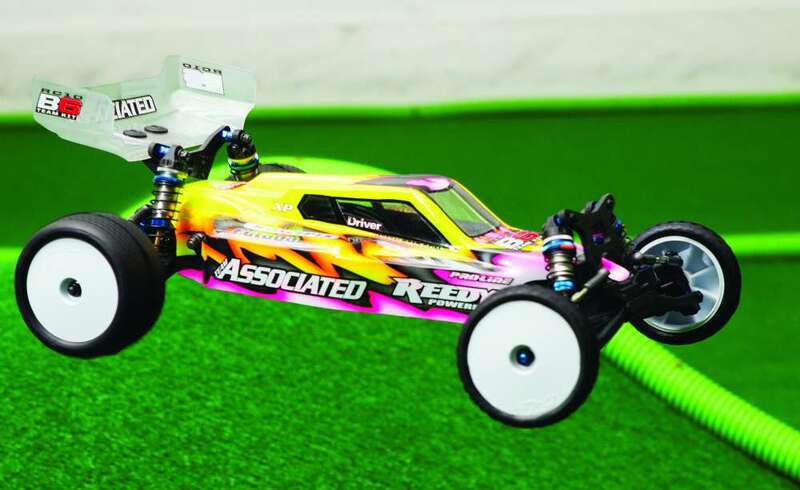 Let’s run through the variety Pro-Line Racing offers specifically for 1/10 of-road carpet or turf racing. This 2WD front tire is offered in the Z3 and softer Z4 compound. Z4 compound is perfect for U.S. style carpet tracks and will provide more overall grip than Z3 compound. The Wedge Squared has a true drop-in bead that does not require cutting or hand fitting and is super narrow and low-profile. The Hook shaped pins provide all the steering you can handle without being grabby. The new Z material provides the superior grip on a variety of surfaces used indoor. 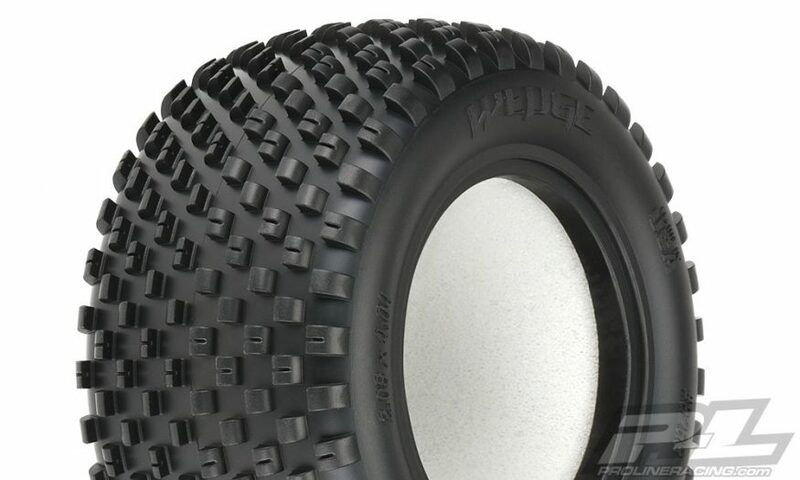 The Wide Wedge brings the popular Wedge tread pattern to a tire carcass that fits on standard 2wd Front Wheels! That means no more cutting wheels or needing special narrow 2wd front wheels. The extra tire width allows for an additional row of tread which the Pro-Line Engineers used to make the tire directional, meaning the tire can be mounted for either more aggressive steering or less! The Wide Wedge has a true drop-in bead that does not require cutting or hand fitting and is super low-profile just like you would expect out of your carpet tires. The Hook shaped pins that the Wedge design is known for provide all the steering you can handle without being grabby. Pro-Line’s Z compounds provide unparalleled grip on a variety of surfaces used indoor while still being long lasting. This is a pair of Wedge Buggy 4WD Front Carpet Tires. 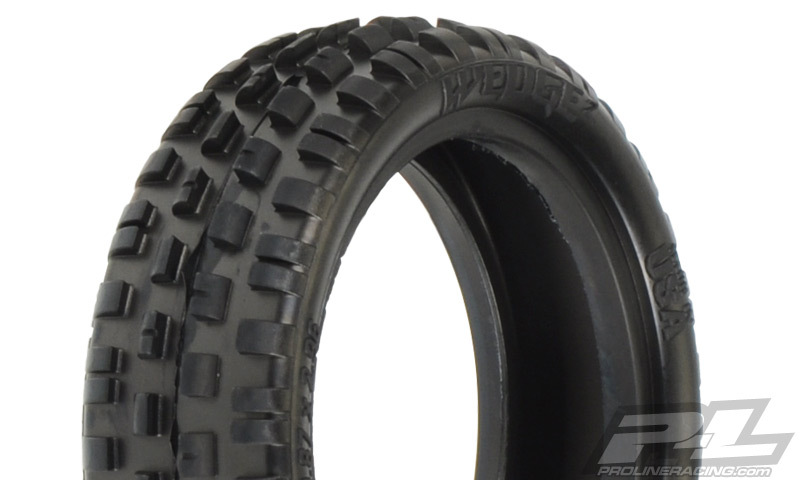 Pro-Line now offers the popular Wedge tread pattern in a 4WD Front tire! The Hook shaped pins of the Wedge 4WD Front provide all the steering you need without being too grabby or edgy and provide faster lap times. The Wedge 4WD Front is also more user-friendly because it doesn’t require any hand trimming of pins for optimum performance. Pro-Line has brought the popular Wedge tread pattern to the Stadium Truck class. The Wedge T is perfect for the front of your Carpet 2WD Stadium Truck and provides just the perfect amount of steering you need without being too aggressive. The Hook shaped pins of the Wedge provide all the steering you can handle without being grabby. Pro-Line’s Z compounds provide unparalleled grip on a variety of surfaces used for indoor non-dirt racing. 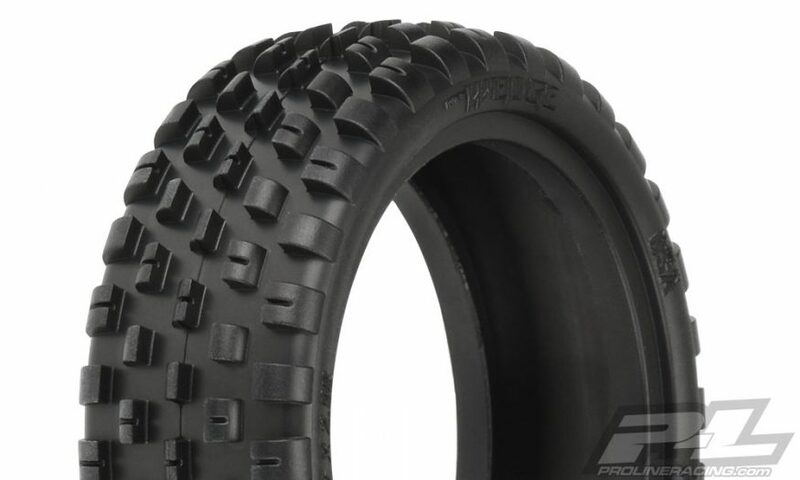 Pro-Line offers the popular Pin Point rear tire in the Z3 and softer Z4 compound. Z4 compound is perfect for U.S. style carpet tracks and will provide more overall grip than Z3 compound. The Pin Point has tons of Ultra-Sharp Pins in a unique Sine Wave pattern that grip the carpet better than Velcro. This new Z material provides the superior grip on a variety of surfaces used indoor. 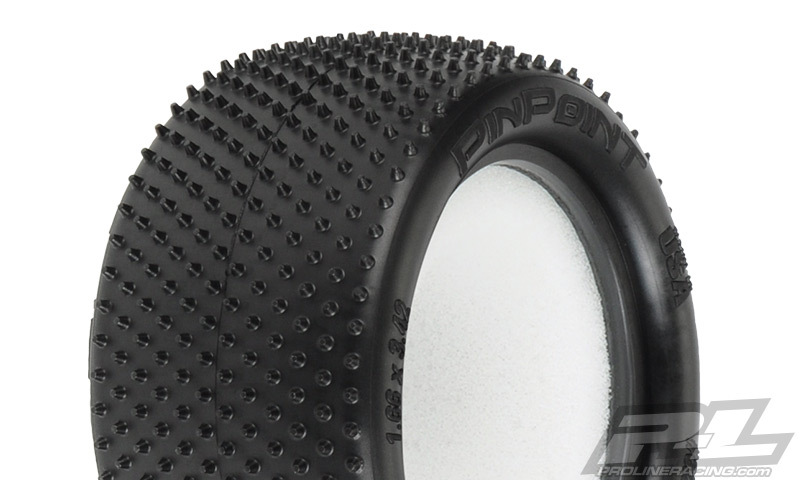 Check out this pair of Pin Point Buggy 4WD Front Carpet Tires now offered in both the Z3 and the softer Z4 compound! The Pin Point has tons of Ultra-Sharp Pins in a unique Sine Wave pattern that grip the carpet better than Velcro®. This new Z material provides the superior grip on a variety of surfaces used indoor. 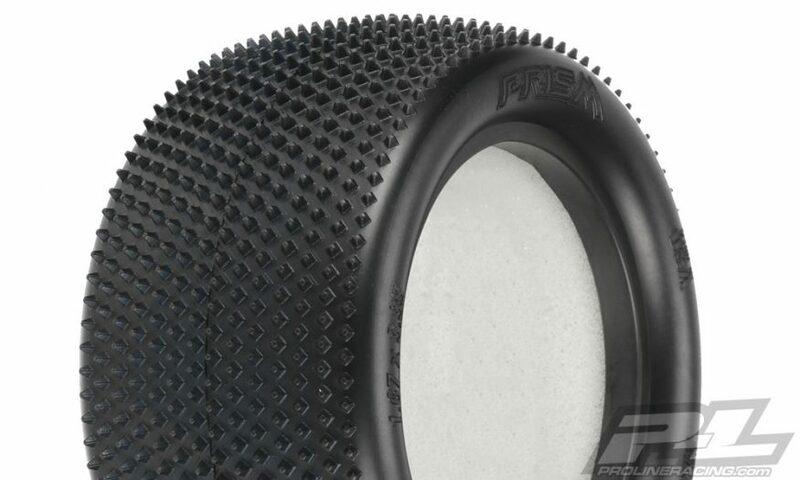 This is a pair of all-new Prism Carpet Buggy Rear race tires! The Prism features 1,260 Ultra-Sharp Prism shaped Pins laid out in a unique pattern that grip the carpet better than Velcro. The pins on the Prism are slightly smaller than the original Pin Point rear tire but there are many more of them, which results in faster and more consistent lap times. The Prism has been positioned with the knife edge pointed front to back and side to side for maximum grip and to stay sharp even as they wear down. The Prism tire is destined to change the carpet racing scene. Will You Rule The Turf? 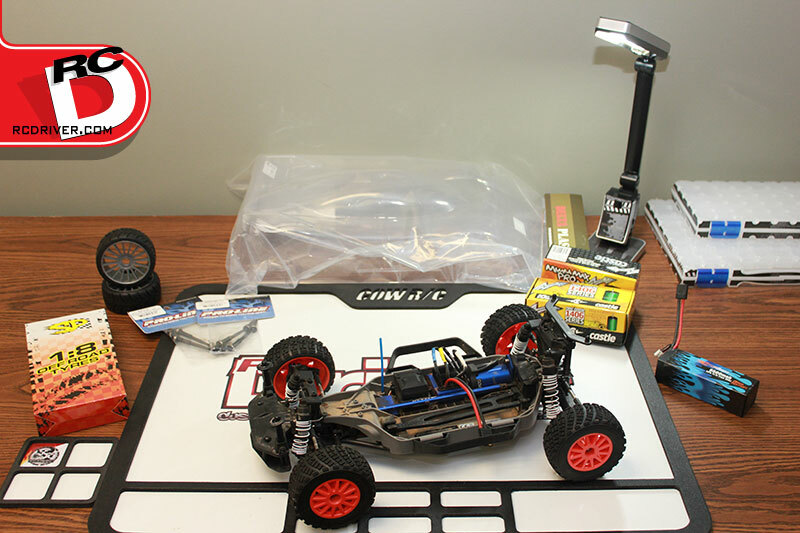 The old saying goes; “Don’t knock it until you try it.” This holds true for the RC hobby and the expanding US carpet and turf off-road track scene. We’ve seen some of the most die-hard dirt racers give it a “quick shot” only to walk off the drivers stand with a big smile and uttering the words “that was a lot of fun.” So when you’re ready to hunt down your nearest manufactured surface track, you can count on Pro-Line Racing to have the tires figured out and you can hit the track on a full set of their tire variety to give you that dialed in feel that will get you hooked on carpet or turf racing.